In the interests of full disclosure I should admit that the collective noun ‘blessing’ apparently applies to unicorns but since I’m not convinced fictional creatures should get a noun all of their own I thought I’d borrow it for my purpose. Due to life…and death…getting in the way I have been remiss in discussing all the recent awards that have come the way of Australian crime writers lately but I’m hoping the old adage “better late than never” still applies to most of life’s awkwardnesses. 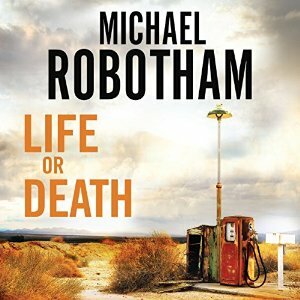 In reverse order, timeline wise, we’ll start with congratulating Michael Robotham whose LIFE OR DEATH won the prestigious British Crime Writer’s Association Gold Dagger Award this week. It’s a standalone novel that starts with the premise of a young man escaping from a Texas prison on the day before he is due to be released. Driven equally by in-depth character development and a heart-stopping plot it’s easy to see why the judges were taken with this novel, even with its impressive competition. Kerrie reviewed the novel here at Fair Dinkum Crime (and though I didn’t review the novel I concur with her sentiments and can also recommend the audio version of the book beautifully narrated by John Chancer). An article in Today’s Sydney Morning Herald provides some background information on the novel and Michael’s history as a writer, including a heartfelt admission on the downside of being a ghost writer. Next we move to the 2015 Davitt awards for crime writing by Australian women which were announced on August 29. 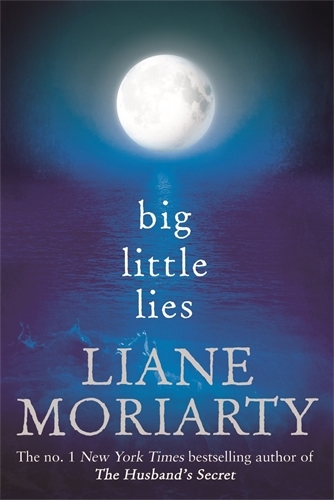 Best Adult Crime Novel went to Liane Moriarty for the surprise crime novel BIG LITTLE LIES. As this book is set to be a film starring ‘our’ Nicole I suspect this is not the last we’ve heard of this particular title. Other winners on the night included Ellie Marney for Best Young Adult Novel with EVERY WORD and Caroline Overington for LAST WOMAN HANGED which took out the Best Non-Fiction category. The Reader’s Choice Award (voted by members of Sisters in Crime) went to Sandi Wallace’s TELL ME WHY. And because she is one of my favourite authors ever I can’t let this occasion pass without noting the Highly Commended certificate judges gave to Sulari Gentill’s A MURDER UNMENTIONED in the Best Adult Novel category. Finally we must mention this year’s Ned Kelly Awards, winners of which were announced earlier in August. Candice Fox’s second novel EDEN took out the Best Crime Novel Award while Helen Garner’s THIS HOUSE OF GRIEF won in the Best True Crime category and QUOTA by Jock Serong was voted Best First Crime novel. We’ve been a bit remiss here at FDC in not reviewing any of these but at least two of these are buried in my mountain of unread books so I will get to them. One day. I think that’s it for all the missed news, our belated congratulations to all.